* Verify 802.11 network configuration is correct. * Test WiFi hardware and device drivers are functioning correctly. * Check signal levels from your local WiFi network and nearby networks. * Help locate sources of interference to your network. 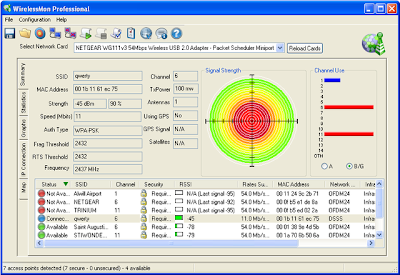 * Correctly locate your wireless antenna (especially important for directional antennas). * Verify the security settings for local access points. * Measure network speed & throughput and view available data rates.